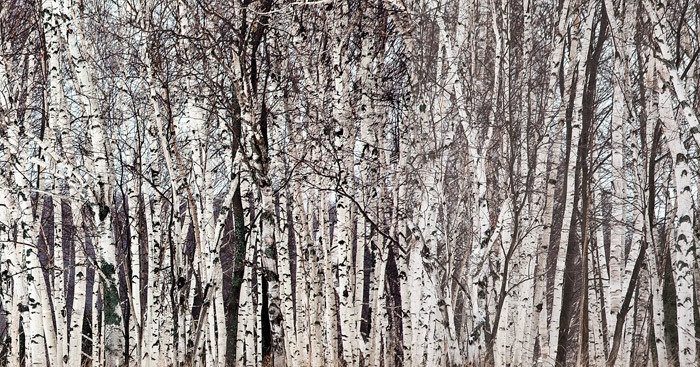 This huge birch grove adds a unique texture to the rolling countryside north of Harbor Springs. The trunks look more like aspens than aspens. Photo © copyright by Mike Barton.